Reflection on Arts in Education TODAY – Ruth Catchen Reach for the Stars! I just finished listening to the arts in education discussion group from the Aspen Ideas Festival 2012. The panel was Howard Gardner, Jonah Lehrer and Damian Woeztzel. The podcast is not available and if it is, I will add it HERE. Here is another discussion on arts education from the Aspen Ides Festival 2011. I could not sit still to listen as my mind whirled with ideas. For me, there was validation for the many words I have spoken and written. Sometimes I thought I was speaking in a language other than English, but this discussion gave me hope and it forced me to face some realizations of who I am, where I come from and why I have found it so difficult to fit into the mold of public education. The perspective of a renown psychologist like Howard Gardner who studies education and the arts was inspiring. Add to that the recent work of Jonah Lehrer on creativity and Damian Woeztzel’s hands on work with education and the arts as a member of the President’s Council on the Arts and Humanities as well as his perspective as a performing artist and insight happens. If you believe in the benefit of curriculum integration, this discussion is very important. Whatever I say in this blog is my representation of what was expressed. It is in no way meant to be a paraphrase of their thoughts. Many schools say they are promoting the arts and do include them, but truly integrating them for the benefit of all students is not common. Doing this will take a buy in from all administration. It is not enough to simply say you believe in the arts. You have to live it. And I might dare to add that having performing groups is certainly part of it–it is the “do” part of the arts, but teaching the arts and adding that as a way of life is much more complex. In the “do” one can learn the discipline and work ethic it takes to be good at something. The arts encourage collaborative relationships. Creativity comes in many forms and on many levels. Arts integration is using the arts to teach and understand other subjects, such as math,science, english and social studies, while gaining proficiency in both. Integrating the arts into core academics through experience or project-based learning results through the arts treated as important core subjects. Research is still vague on the arts improving academics or test scores. It is offering another option for experience and understanding and that leads to both achievement and social/emotional wellness. I think no one can argue that those outcomes are very positive. There are two separate issues – the arts for the art’s sake, which is valid, and the arts to enhance academics and academic achievement through experiential education. You can be creative in any field. The arts encourage and teach this by doing. Try something new. Use a material in a new way. Maybe it will work and maybe it won’t. It will open doors. We are used to playing with artistic components, clay, paint, etc. Children are not used to playing with math and science. But they can. Science is an obvious area for experiment. In math, we test so much we do not afford children the opportunity to try to experiment. Will dance make you better at math? Don’t know about that. It is spatial and you must have a sense of spatial relationships to do it, so it may mean that those who are inclined have good spatial skills. Does one skill feed the other? At the very least the arts change perspective. 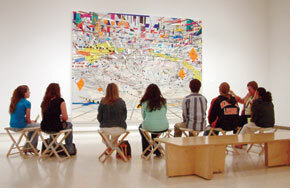 The arts encourage a student to observe, evaluate, predict and analyze or self-assess. They broaden thinking and ability to imagine. They do enable the ability to focus and to understand process and hard work. These skills will make for happier, better prepared students to embark on their lives. The arts should be used in education in different ways. Teaching the arts for the art’s sake, the individual disciplines of visual art, music, dance and drama is important. We learn the aesthetic value of these media and how they impact our lives from past to the present. We can learn to do and in that learning and exposure, talent can be discovered and nurtured. As well, we need to cultivate audiences for all the arts for the future. We need to learn that artistic experience goes beyond our interaction with a screen or a computer. 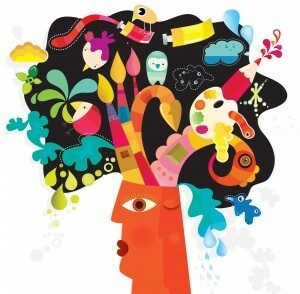 The arts can and should be integrated into other subjects to enhance the understanding of those subjects. One can learn from doing. Design becomes math. The sound and design of an instrument becomes physics. All students can create a digital portfolio of their work, all of their work – writing, things they have made and an account of other accomplishments. (Gardner talks about this idea, not sure if it is his originally). There are many more aspects to this conversation. My perspective from my experience as a performer and then teacher forces me to see many sides of the subject. Having the arts in schools is not about finding the next great Picasso, Mozart or Judith Jamison. It is to give a diverse balance to the educational experience that will enhance one’s view of the world and deepen the ability to think, create, imagine and have empathy for others.